Thank you for your interest in Killer Abstract Backgrounds volume 1! 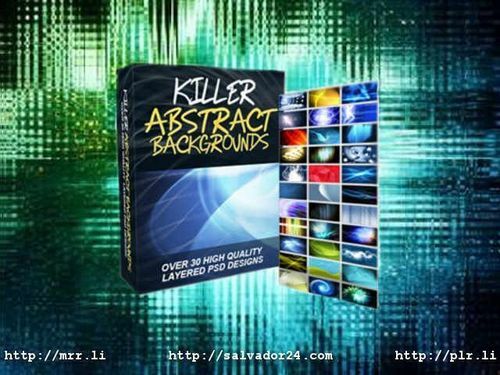 Killer Abstract Backgrounds v1 is a set of over 30 high quality background graphics you can use to easily create awesome graphics. https://salvador.tradebit.com brings you this complete first set for a low bargain price – even lower than the price of a single stock graphic. over 30 (!) Killer Abstract Backgrounds in JPEG format (width 1024) for direct use in Powerpoint presentations, or as website graphics. Get Killer Abstract Backgrounds v1 with the Bonus here now! View Killer Abstract Backgrounds v1 on tradebit.com.